There is apparent contradiction between observation of crystals these are growing in form of perfect geometrical figures with flat surfaces and outcome of formulas for two dimensional nuclei growth mechanism these predict that rate of crystal surface by layer by layer progression should be too slow to be noticed. The theoretical growth rate predicts too small values for perfect shape crystals to be observed in nature at all. 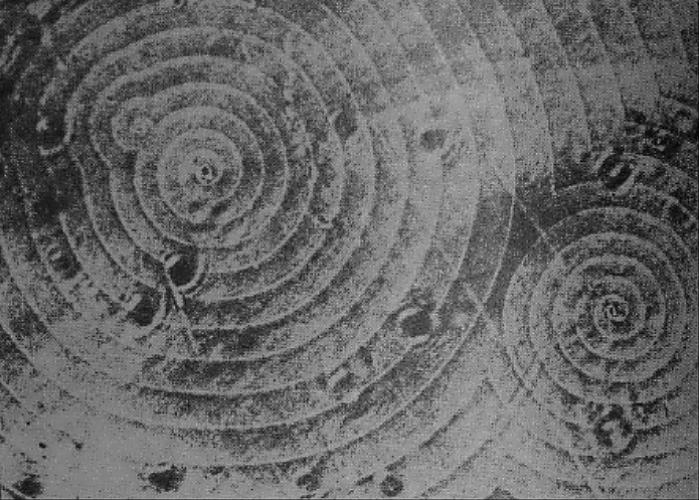 In the same time on the surface of the crystals were observed spiral like formations. That lead to development of the separate standing theory of crystal growth named spiral dislocation model. This model bypasses the necessity of random formation of two dimensional nuclei on the flat, completely filled, surface of crystal by presuming a permanent presence of dislocations on it. Dislocations are local deviations from perfect crystal structure on the atomic level. Sources of dislocations could be isomorphic substitution of one atom by other one with close chemical properties; holes inside crystal due not complete filling one layer that will be covered by other. Some positions could be left not filled and trapped inside. Taking aside for now the source of dislocation do postulate their presence as axiom. 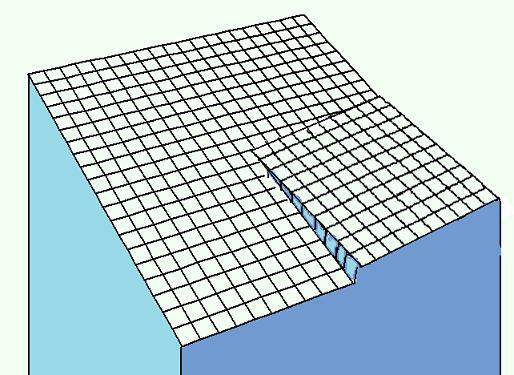 A dislocation on the surface could be considered as effective shortcut around necessity of critical nucleus formation on the flat surface. Analytical solution of such situation for general case of random distribution of dislocations with different acceleration effects on the rate of formation of overcritical nuclei on the surface of growing crystal is if not impossible but obviously useless for now and due to lack of direct measurement can not be compared with experiment. After invention of force microscopy that problem is maybe will be pursued sometimes later. For now the only thing that can be done legitimately for such general problem is just add correction coefficient to the theoretical value for energy of formation of critical nuclei. One can find analogy with pulsar sending wave by wave these are covering surface of crystal one layer of molecules by another. where Vflat = Vcont growth rate for flat step when curvature of the step on surface is approaching to infinity. Here is an point of possible confusion. Infinite curvature here is presumes for infinite rough surface. That looks like internal contradiction statement until you image analogy the sand paper can be bend. It would have some curvature and be rough in the same time. Obviously the equation (9) has limitations for large supercooling when radius of critical nuclei is smaller or just comparable to size of molecule. For such circumstances a continues growth rate should be expected. It is worst to note that analytical solution can be found also for equation (5) but with caviar that final formulas are too massive and don't presented any qualifiedly novel conclusions compare with formula (9) information to be present here. 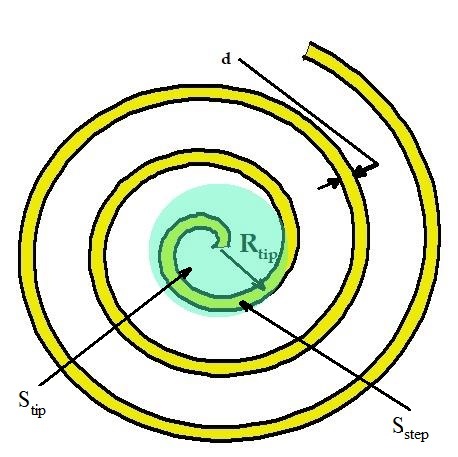 Taking into account that Vcont has linear function of supercooling and coefficient presented influence of spiral mechanism of growth is linear function of supercooling as well hence the growth rate by spiral mechanism should be a square function of supercooling.